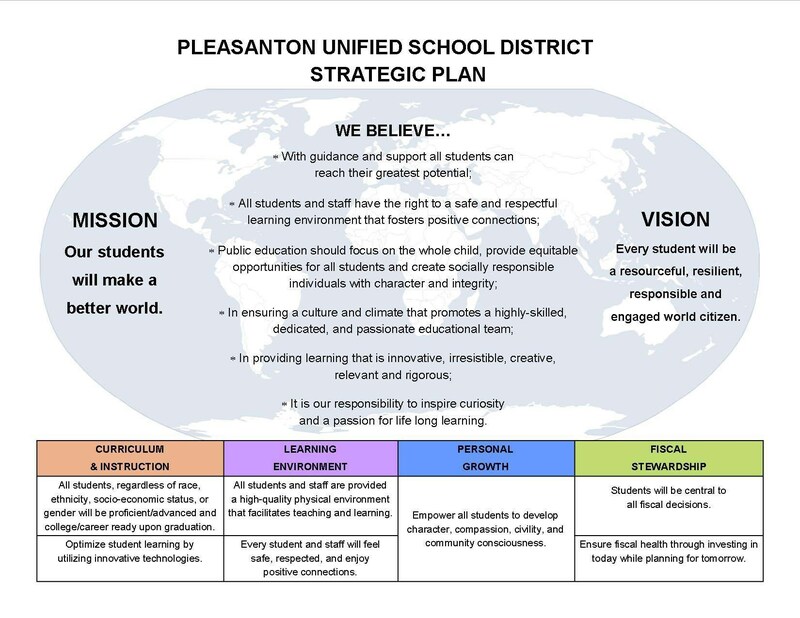 The goal of the Pleasanton Middle School stakeholders is to prepare our students for a life of continuing academic achievement, personal integrity, self-reliance, and responsible citizenship in order to meet the ever-changing challenges and demands of the twenty-first century. Our comprehensive curriculum is designed to meet the academic, social, emotional, and physical needs of the young adolescent. The curriculum is formulated to emphasize academic achievement, encourage student responsibility, and enhance self-esteem. We are committed to providing positive support and guidance for students during these important transitional years. Improve student achievement as measured in common grade-level or district assessments and state achievement tests. Continue the process of refining and implementing the Character Education program which provides students with the skills and information they need to reflect the following core values: integrity, honesty, responsibility, respect for self and others, compassion, and self-discipline. Maintain an instructional program that address the unique social, emotional, and academic needs of each individual student—from those identified as at-risk, to students in the middle, to students identified as gifted.